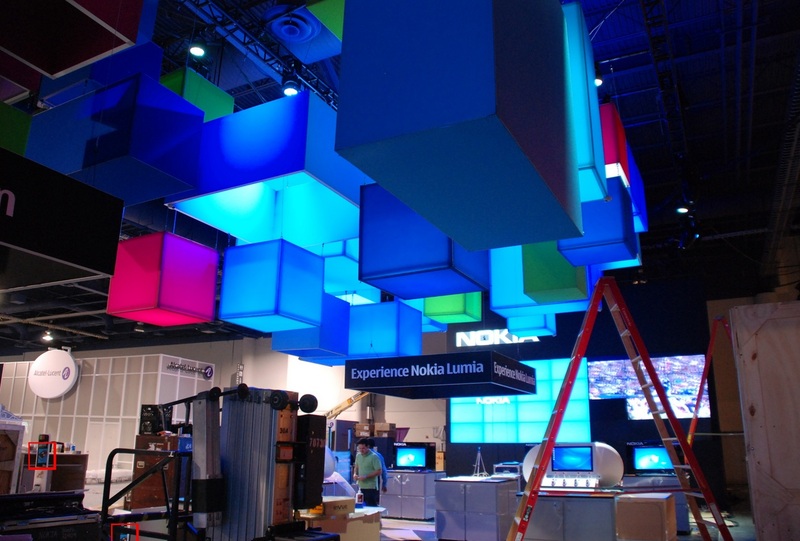 Here’s a snap from cnet of the Nokia Booth at CES, still under construction at the time the photo was taken. We only got tipped the picture, and not the link but you can see CNET’s coverage here. There’s boxy Lumia like items floating at the ceiling but the interesting stuff is at the bottom left corner. Markus has highlighted some stuff in red. There’s some circles on the screen, I wonder what it is. 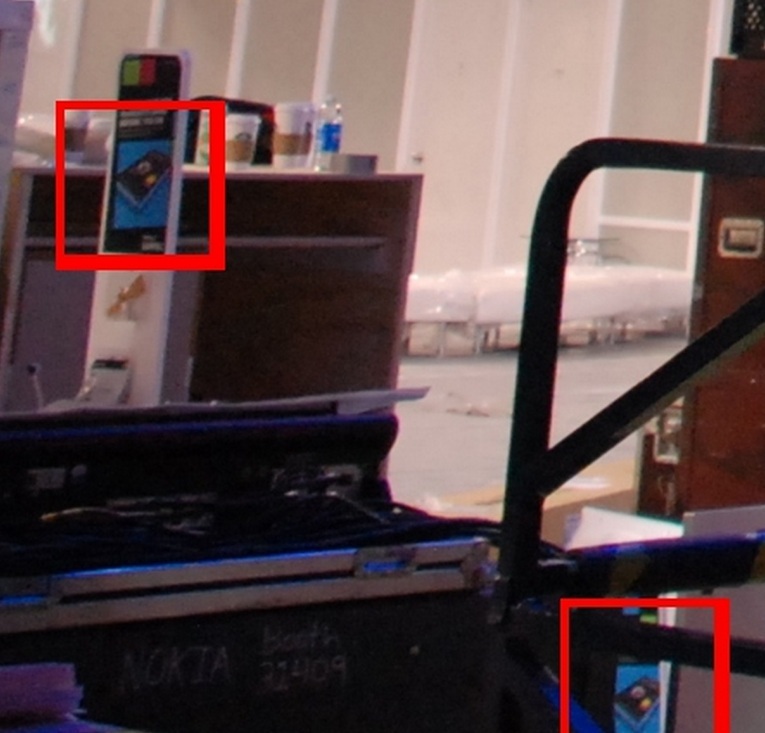 Regardless, that is clearly a Lumia 800 shaped device which is likely to be the 900 for CES. Next, with 5 hours to go, here’s a look at what Nokia’s going to be announcing. 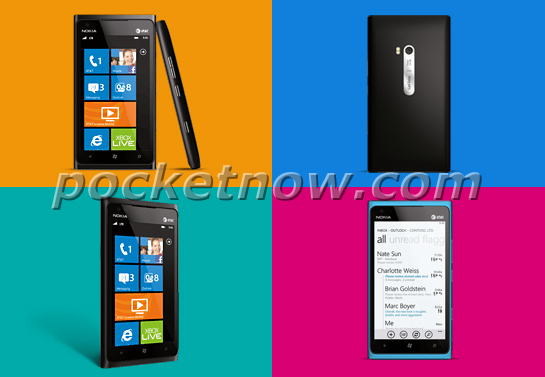 The Nokia Lumia 900 for AT&T, aka Nokia Ace. This is of course, from Pocketnow. Thanks RaV and Markus for the tip!